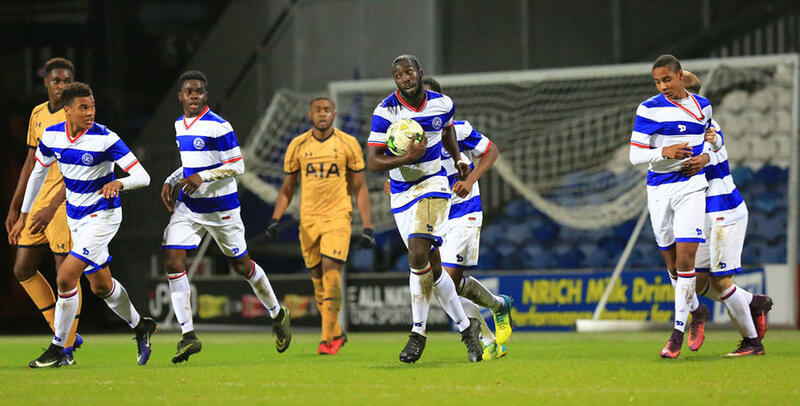 QPR are out of the FA Youth Cup after tonight’s 4-1 defeat to Tottenham Hotspur at Loftus Road. A double from Jack Roles and a goal apiece for Reo Griffiths and George Marsh handed Spurs victory despite Kingsley Eshun halving the deficit just before half time for Paul Furlong’s young side. Spurs were fast out of the blocks and had the first chance of the game when Japhet Tanganga header a corner straight into the arms of Marcin Brzozowski. A few minutes later a free flowing move led to a shot from Reo Griffiths but he dragged it wide of the right post. 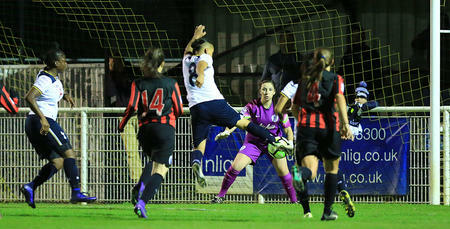 The North London side continued their dominance throughout the half but their opening goal came from a QPR mistake. Romeo Akinola lost the ball in midfield and Jack Roles slotted it past the onrushing Brzozowski to give the Lilywhites a deserved lead after 24 minutes. The goal seemed to settle the home side who began to get on the ball more but it was Spurs who doubled their lead on the 37th minute through a swift counter attack. The impressive Shashoua played a clever through ball into Sterling who’s accurate cross found Reo Griffiths and the forward had a simple finish. Spurs looked to be going in at half time with a two goal lead after Brzozowski made two excellent stops but AJ Folkes did well to win the ball in the middle of the park before feeding Kingley Eshun and the striker calmly slotted the ball underneath visiting keeper Brandon Austin. However, Rangers were unable to put Spurs under any real pressure as just after half time more sloppy defending led to a Spurs third. Shashoua was once again the architect and his low cross found Roles in the box with the midfielder getting his second of the game. Rangers huffed and puffed and Josh Bowling went close to getting a goal back after his jinking run and shot just went over the bar. However, Spurs were comfortable for most of the second half and in the 73rd minute George Marsh’s accurate header sealed the tie in front of 647 fans at Loftus Road. QPR U18s: Brzozowski, Barzey (Springer-Downes 72), Genovesi, Klass (Platt 60), Eales, Fox (C), Francis-Adeyinka, Folkes, Eshun (Mesias 60), Akinola, Bowler. Subs not used: Bowman, Ribeiro.